Second full-floor retail totaling 4,124 sq. ft. with 47 ft. frontage. 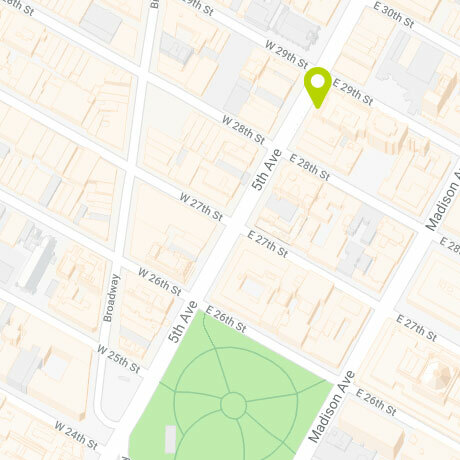 In the heart of NoMad, the space is surrounded by the New York offices of brand names such as Tiffany & Co., Sony, New York Life, Anheuser-Busch, Grey advertising, Dropbox, and Porcelanosa. 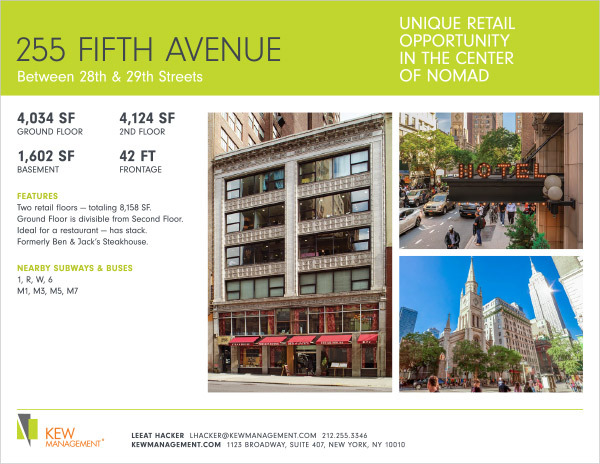 The area’s growing popularity is evidenced by NoMad’s 21 residential buildings, over 24 hotels, and several large residential and hotel developments currently rising. In building with full-floor home design firms.